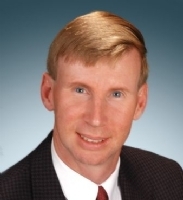 As an experienced 30-year business professional, John is an integral part of the O'Rourke Realty team. During John´s (2) decades in real estate, he has successfully represented hundreds of sellers and buyers as their trusted Realtor. John's exceptional marketing and negotiating skills ensure his clients get their homes sold, even in the toughest of markets! John's resolve to help his clients successfully sell their homes for the highest price and in the shortest amount of time is impressive. When representing sellers and buyers, John is a deft negotiator who helps his clients sell and acquire their homes at excellent prices. John is a professional real estate broker who is knowledgeable, diligent, and 100% committed to helping his clients achieve their goals. He is well respected by his clients and associates alike for his integrity and consistently receives strong testimonials from his clients for his outstanding service and dedication. Prior to launching his real estate career, John owned, operated, and served as the President, Director, General Manager, and Founder of a Hockey League in Los Angeles. John attended the State University of New York at Oneonta where he earned a Bachelor´s Degree in Business-Economics. He is a native of Long Island, New York and has been a resident of Southern California since 1991. John is an active member of the Los Rancheros Kiwanis Club helping make a positive difference for children in the local San Diego communities and beyond. This year, he is the Club’s 50th President, as the club celebrates 50 years of service to kids, one child at a time. He also enjoys hiking, travelling, tennis, and golf.